Being employed in a stable work environment is something Anthony Khan has been desperately seeking. He may have found it after seeing a Toronto Police Service (TPS) Instagram posting about job opportunities in his Regent Park neighbourhood. 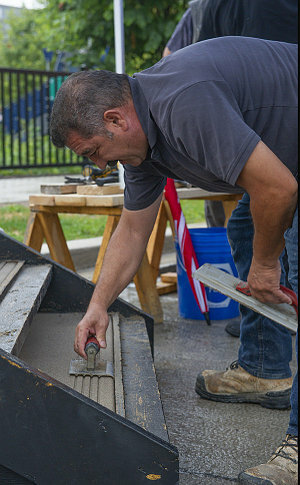 Through a partnership between TPS and the Laborers' International Union of North America (Canada), young people in 51 Division got a first-hand glimpse of some of the skilled trade jobs offered by Canada’s largest construction union. Khan signed up on the spot to enter the union’s training program. Chief Mark Saunders hailed the collaboration between his Service and the union. Toronto Centre-Rosedale councillor Lucy Troisi attended the opening ceremony on August 21 on Oak St. behind the Regent Park Aquatic Centre. Constable Dave Smith, of 51 Division’s Community Response Unit, helped to spread the word about the partnership. Those seeking employment can call or visit the LiUNA office or any of their five campuses, visit their website at 183training.com., or go to their Instagram and Facebook pages. 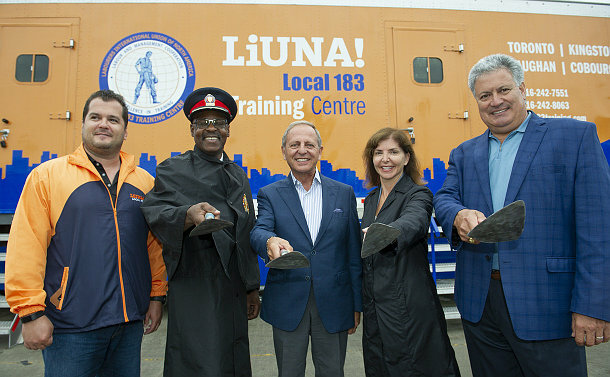 LiUNA has training campuses in Toronto, Vaughan, Barrie, Coburg and Kingston. 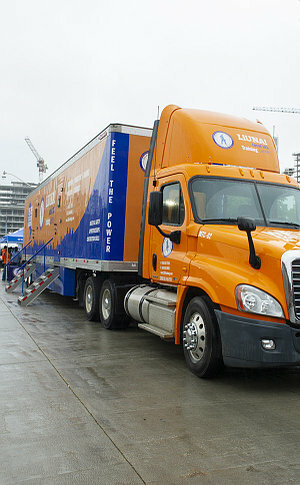 During the two days LiUNA is in Regent Park, interested applicants will have access to their 54-foot mobile training unit. The partnership between the Service and LiUNA emerged after a meeting between Joseph Mancinelli, LiUNA’s international vice-president and regional manager for Central and Eastern Canada, and Chief Saunders. LiUNA has almost 120,000 members in Ontario of which there are about 65,000 in Toronto. Mancinelli said there’s a huge demand for employees in the construction sector. Jack Oliviera, the Local 183 business manager, encouraged young people to consider a career in construction.